You may or may not know this, but “Foal and the Angels” is now on sale. I wanted to get an interview with Foal and show you why this book is a must-buy for your Kindle. Now, I’m not going to give you a sales speech here, I just think you should read the interview and make up your own mind. 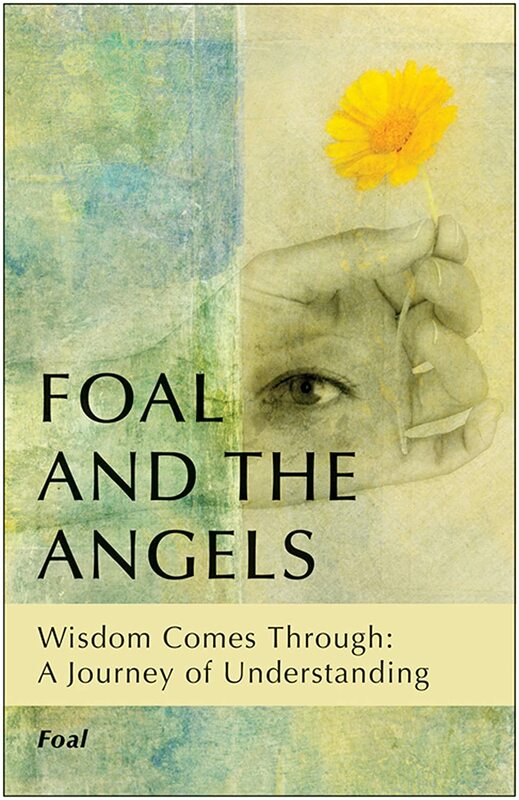 “Foal and the Angels” is about a journey to understand the great wisdom hidden behind life. 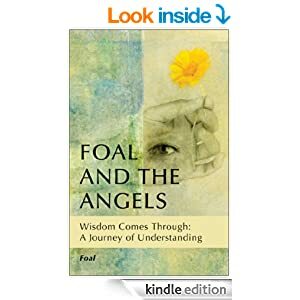 Through a series of dreams and insightful messages that provide Foal with some pretty intensive lessons, the mystery of life unravels, and he shares these spiritual discoveries with other seekers. Q) How would you describe “FOAL and the Angels” in two sentences? A) It is the story of a boy who has a hundred thousand questions and wants to contact God and the Angels. He receives his answers through incredibly vivid dreams and Angels’ voices. It’s a short fairytale but full of grace and wisdom from beginning to end. A) Well, the dreams and messages were received and typed down in the span of 6 years, but after deciding to write the book, it took me one and a half years. A) It felt as if I was on a mission. I knew I had to write everything down as it happened, and most of all I knew I had to share with the world these beautiful teachings. They could not be meant for me only. It would make no sense, you see. I could feel the potential of great healing and the potential for inner growth contained in these messages, and I wanted just everyone to have a chance to be exposed to such beauty/wisdom. Q) If you had the opportunity to get a message across to a lot of people—what would that message be? A) Nowadays, people tend to feel lonely or they believe they are alone in their inner struggles. I want to tell them that this is far from the truth. We are never alone. Angels/entities/energies/guides, people who passed on or whatever more exotic or fancy names you opt to choose ….other layers of dimensions are literally filled with them, and they constantly look over us and help us strive to finish what we promised ourselves to do here, before incarnating. Well, at least this is my personal view, based on my own experiences in the astral. Q) Do you ask yourself questions or do you settle for what you know? A) Well, since the `hero` FOAL is basically me, when you read it, you will see how I do ask many questions, and when I cannot answer them myself, I try to ask… `the Guys above`!! That is basically the story of FOAL and the Angels. Q) When it’s all said and done—will you have said more or done more? A) Actually neither. Not in FOAL 1, at least. I think FOAL 1 starts and ends beautifully, meaning this not in a self-praising way, but rather that in the story, there is a thread that starts and ends in a meaningful, `conclusive` way. There were many more experiences I would have liked to share, but they would have been redundant in the story of the first book. Since it is a series, I felt there was no need to rush or to jam too much in one tiny book. The rest will come as it will…! Q) Which activities make you lose track of time? A) After a beautiful or insightful dream, I can’t refrain myself from going back to it with my mind, trying to re-live those beautiful moments or trying to understand more fully all the profound teachings I know are in there, although I can’t grasp them all. So I do spend hours thinking about my dreams and their meanings, the messages that are hidden in there, a real treasure chest of truly beautiful and eye-opening insights, and I get so absorbed that I totally lose track of time. Completely lost in astral space, you might say. Q) What’s your single greatest moment of personal failure? Looking back on it now, did it make you weaker or stronger? What did you learn? A) My greatest moment of personal failure is something so private, because it concerns one of my kids, that I cannot talk about it here. Nevertheless, I can tell you that yes, I did learn a lot . I don’t know if it made me stronger , but it was a huge incentive for spiritual growth. Q) Joy is found with simple awareness. What does your joy look like today? A) My joy is in the tiniest moments of life, in the great happiness I derive from simple moments of love in the family, simple acts or words of appreciation and esteem with friends, or being in communication with nature, with pets and animals in general, and of course with the Angels of my dreams. Really, I don`t believe in a `big` happiness. For me, joy resides in the very, very small, but permeates all. Q) If your life was a novel, what would be the title and how would your story end? A) The title? FOAL and the Angels!! The end?? With my being re-born in next dimension of life, unfortunately and unwisely called, for the most part, death. FOAL AND THE ANGELS IS NOW ON SALE! GET YOUR COPY TODAY!